2-year-old Rashi is fighting for her life in the ICU after accidentally falling into a bucket of hot water. 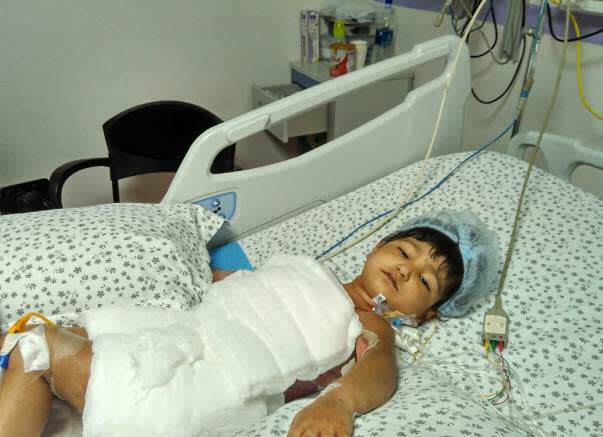 Rashi is in an extremely critical condition as 40% of her body is burnt from her neck below. She needs further ICU care to start recovering and prevent any infection. However, her father, Mangesh, doesn’t have the means to continue her treatment. 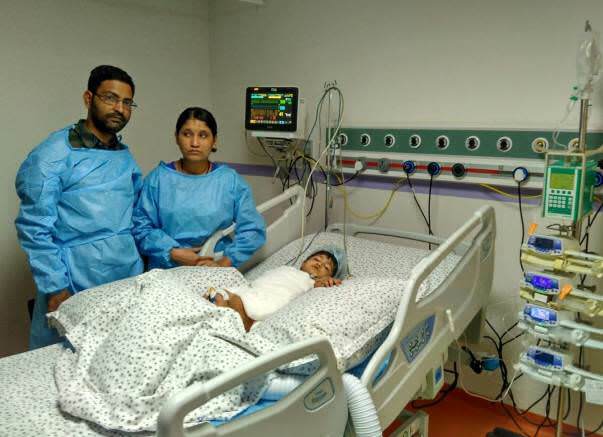 Rashi is now on the ventilator and needs to stay in the ICU for at least 15 more days to get treatment for her burns, else she risks losing her life. Rashi was an active, happy and playful child. 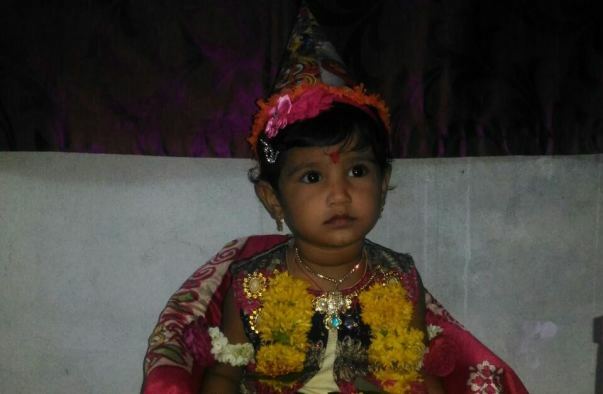 Her laughter filled the house, and her parents, Mangesh and Eshwari, couldn’t have been happier to see their child grow up healthy and cheerful. Unfortunately, it all changed for them on the fateful day of 27 January. Like most children, Rashi was running around playing in the house, while Eshwari was busy with household chores. Suddenly, Eshwari heard the most frightening scream. Rashi had accidentally fallen into the bucket of hot water that was kept in the bathroom. The lid on the bucket gave way when she sat on it and she fell in, screaming and crying in unbearable pain as the hot water burned her little body. 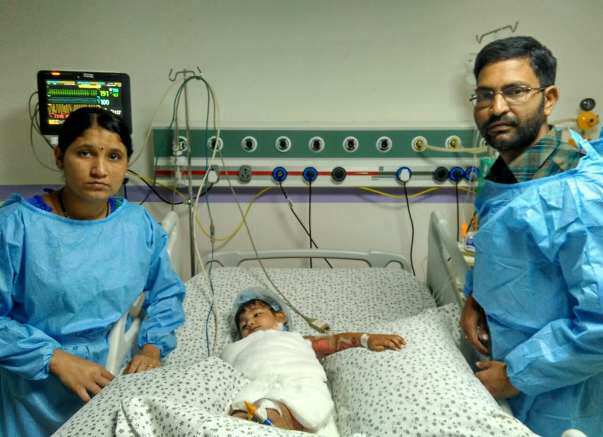 Baby Rashi was rushed to the hospital in a critical condition. She cried all the way there as her parents tried their best to comfort her. They knew that their baby would have a long fight ahead of her, but they haven’t given up and neither has their little one. She continues to fight hard in the ICU. However, she might not make it without urgent treatment. Mangesh and Eshwari took her all the way from their hometown in Maharashtra to Hyderabad, Andhra Pradesh in the hope of saving her. They haven’t left the hospital ever since Rashi was admitted. They stay in the waiting room of the hospital, eagerly waiting to meet their baby, even if it's for a little while. Mangesh works as a tailor in their hometown in Maharashtra. His earnings are insufficient, and he can't pay for Rashi’s medical bills. He has borrowed from his relatives and neighbours and paid 2.5 lakhs for her treatment so far, but that’s not enough. 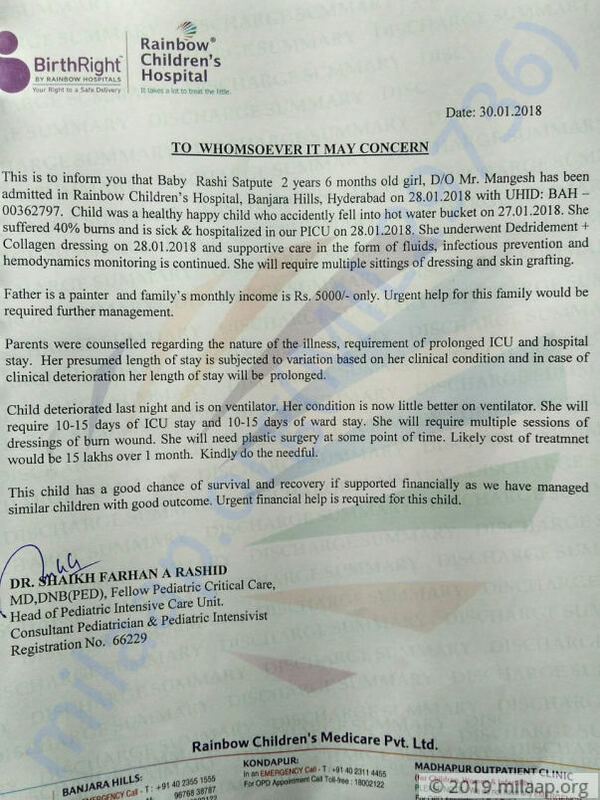 Rashi needs 15 lakhs to stay in the ICU. She will need multiple sessions of dressing for her wounds and will also need plastic surgery soon. Baby Rashi is all alone in the ICU, fighting hard to live. Her parents are desperate to save her, but their hands are tied. They need your help to get her urgent treatment and save their only child. Rashi is in severe pain after accidentally falling into a bucket of hot water. She has suffered serious burns and needs immediate treatment to live. Rashi is in the ICU on ventilator support. With further treatment, she can get better. However, Mangesh can’t afford to keep her in the ICU and is struggling to find a way to continue treatment. 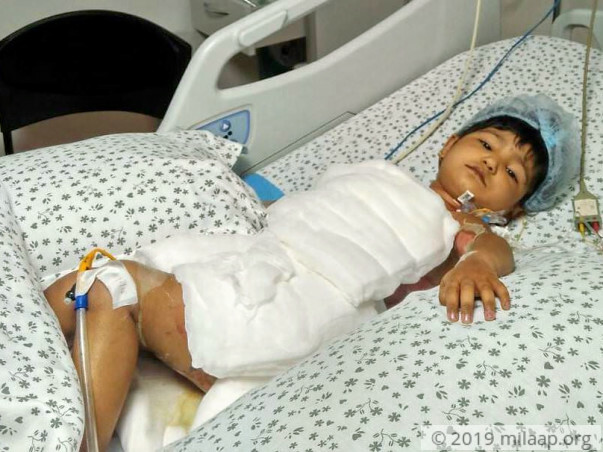 Baby Rashi needs your help to survive. 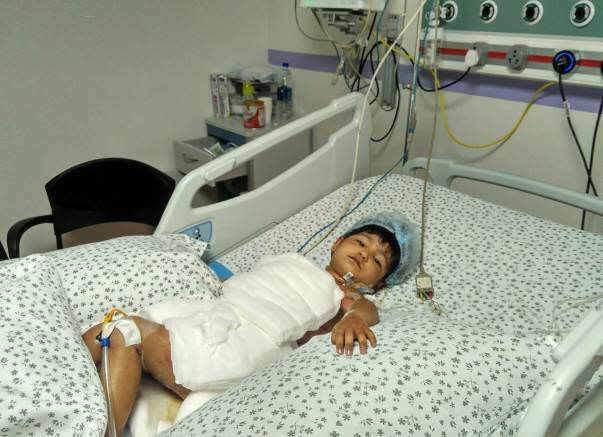 Your support can save Rashi’s life. We have some unfortunate news to share with you. Rashi passed away in the early hours yesterday (31st January). Her parents are devastated. This tough brave kid had fought very hard, however, succumbed to infections and could not make it. The funds will be utilized for her medical expenses. Please do pray that the family finds strength in this time of need and thank you for all the love and support you have shown this little one. Your timely support ensured that she received the best medical care. Thank you for this tremendous support and love shown towards this kid. Baby Rashi deteriorated last night and is on ventilator.Her condition is now little better on the ventilator. She will require 10-15 days of ICU stay and 10-15 days of stay in wards. She will require multiple sessions of dressings of the burn wound and also a plastic surgery at some point of time. Please do share this link with friends and family and let us help this little kid.